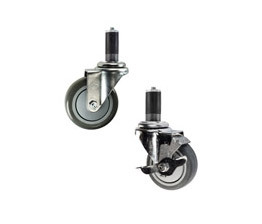 Featuring all Stainless Steel caster assemblies. 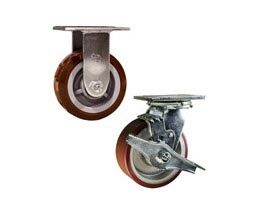 Swivel fork, raceway bearing and wheel roller bearings are stainless, as well as the axle and spanner bushing. Series #30 selections from the Service Caster catalog provide a durable, quality, washable solution for wash down and wet locations. Stainless steel is used to protect metal caster parts from corrosion caused by cleaning agents, steam and steam cleaning, caustic solutions, and other rust causing agents. 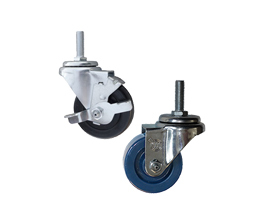 Read our article on stainless steel and magnetism if you have concerns about whether your stainless steel caster should be non-magnetic. 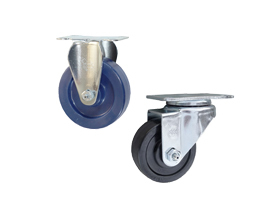 A large variety of uses exist whereby a caster with non corrosive or rust-proof capabilities is required. 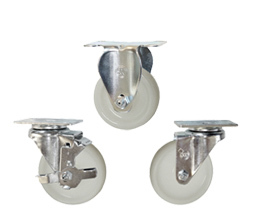 The projects and equipment where a stainless steel caster provides optimum protection are virtually limitless. Popular usages include pharmaceutical tables and carts, medical equipment and laboratory equipment, hotel food carts, and food service carts. 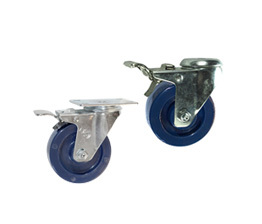 Stainless casters also excel for hospital, laundry, and clean room applications.